Osmosis Stem Factor is a top selling product, and we have the best prices. It is anti-aging and healing. It can make a big change in the skin. 150 different growth factors that are derived from Adult Stem Cells. It repairs and restores the skin and stimulates cells to build collagen and elastin. Another selling point is that Stem Factor is water Soluble. Use it in conjunction with your favorite skin care devices. Use it right along with your device. It gets pushed right into the skin for better penetration. I personally use it on my clients when I do micro-needling treatments. In time you can really see results. We always offer the best prices on Osmosis. You need to log in and choose JoElla Milan Preferred Customers. It is worth it to you. Great savings and always fresh products. I love to make using the best products affordable for my customers. I love my customers and want them to have the very best. I always keep products affordable for them. Being one of the girls, I understand how important quality skin care is and so have the ability to purchase as much product as possible.. Once you are registered on my website, you will be able to automatically see the prices for JoElla Milan Preferred Customers only. I also have a special code for my repeat customers so they can save each time they visit my site. This includes all Osmosis Skin Care, Harmonized Water , Supplements and Osmosis Colour. Every few days, I spotlight several Osmosis products for you to purchase as a bonus. This makes shopping fun. As a licensed Esthetician, I can help you choose the right products. Please go to my website http://www.karinherzog-jmilan.com and save. 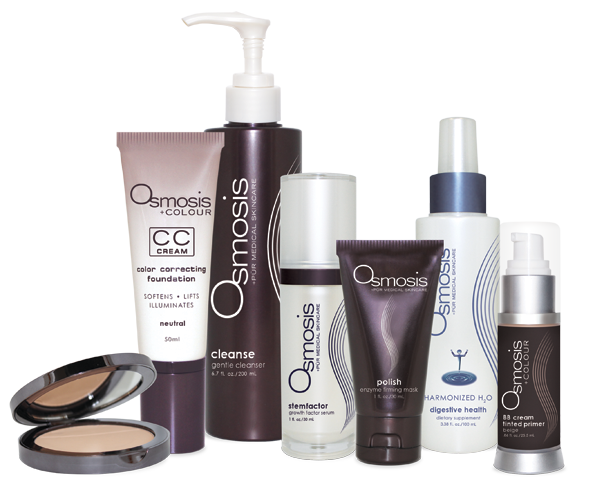 I have sold Osmosis Skin Care from when the company first started. Prior to that, I sold CosMedix Skin Care, formulated by Dr. Ben Johnson. I know these products better than just about anyone. Plus being a licensed esthetician, I understand the dynamics of the products. Periodically I get upset when I see a phoney company set up and advertise skin care products at a big discount. One just popped up again this week. They have been cut off by skin care manufacturers, yet they somehow purchase products and sell them to customers that do not care they are not legitimate. Many of these companies use an address they are not at, they do not purchase products from the manufacturer, but from elsewhere, they have no product knowledge and no recourse on the products. Many of these places work out of a little hole in the wall and pretend they are a medical clinic or spa. If you try to call them, they do not answer the phone, and you can only email them for contact. If you see that, run. You have no idea where they purchase their products, if they are fresh, or if they are safe. It is very serious.